Alfred Lord Tennyson was a poet laureate of the United Kingdom during the reign of Queen Victoria. 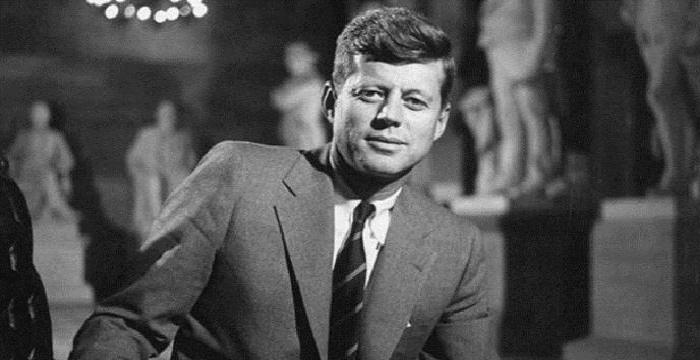 Check out this biography to know about his childhood, family life, and fun facts about his life. Alfred Lord Tennyson was a poet laureate of the United Kingdom during the reign of Queen Victoria. 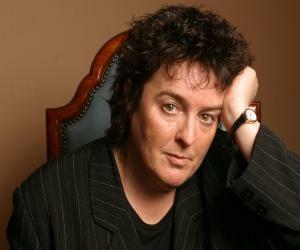 He is also one of the most acclaimed poets in English Literature. Tennyson continued and refined the traditions of Romantic Movement left to him by his predecessors, Wordsworth, Byron and Keats. His poetry was considered remarkable for its metrical variety, rich descriptive imagery and exquisite verbal melodies. His subject matter ranged from medieval legends to classical myths and from domestic situations to observations of nature. He had excelled the art of writing short lyrics which can be evident from his poems like, ‘In the valley of Cauteretz’, ‘Break, Break, Break’, ‘The Charge of the Light Brigade’, ‘Tears, Idle Tears’ and ‘Crossing the Bar’. One of his noted works include ‘In Memoriam A.H.H.’, which he wrote to commemorate his best friend Arthur Hallam. His other significant works include ‘Idylls of the King’, ‘Ulysses’, and ‘Tithonus’. Also, many of his phrases have become commonplaces of English Literature today. Some of his most frequently used phrases include “Nature, red in tooth and claw”, “Tis better to have loved and lost than never to have loved at all”, “Knowledge comes, but Wisdom lingers”, “The old order changeth, yielding place to new” and so on. After Shakespeare, Tennyson is the second most frequently quoted writer in The Oxford Dictionary of Quotations. 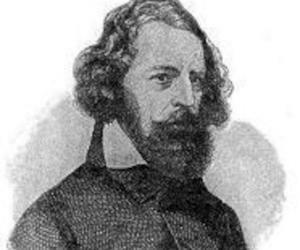 Alfred Tennyson was born on 6 August 1809, in Somersby, a village in Lincolnshire, England. His father, George Clayton Tennyson, was a country clergyman, occupying the position of the rector at Somersby, Benniworth and Bag Enderby. Alfred’s mother, Elizabeth nee Fytche, was the daughter of a vicar. Alfred was the fourth of his parents twelve children. While the eldest died at infancy, his second and third elder brothers, Frederick Tennyson and Charles Tennyson Turner, were also poets. That apart, Alfred had four brothers and four sisters, younger to him. Alfred’s father, George Clayton Tennyson, was a man of varied attainments. He kept a large library and took care to educate his children. He was also good at money management, enabling the family to spend the summers by the sea. But that was only one side of him. George Clayton was also a very embittered man. He was pushed into the church by his father, who later made George’s younger brother, Charles, his chief heir. Resentful, he took to drugs and drinks, often taking his ire on his wife and children, physically threatening them. Young Alfred began to write poetries from a very early age, in part to take his mind off from the unhappy situation at home. Around the age of 13 or 14, he wrote a six-thousand-line epic in imitation of Sir Walter Scott in addition to a drama in blank verse. In 1816, Alfred began his education at King Edward VI Grammar School, a boarding school located in Louth, Lincolnshire. In 1820, when his father began to suffer from frequent mental breakdown owing to excessive drinking, Alfred was brought back to be tutored at home. In 1827, Alfred entered Trinity College, Cambridge, more as a means of escaping the disturbing ambience of his home. 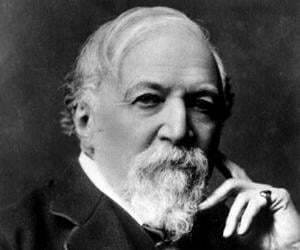 Another important event of this year was the publication of his works in ‘Poems by Two Brothers’. Although it also contained poems by Frederick and Charles, he was the major contributor. At Cambridge, Alfred Tennyson began to enjoy his life for the first time. In early 1829, at the insistence of his college-mates, he submitted his poetry, ‘Timbuctoo’, set on the subject of Armageddon, for Chancellor's Gold Medal, ultimately winning the award. It not only boosted his confidence as a poet, but also led to his meeting with another brilliant undergraduate, Arthur Henry Hallam. The two soon developed a close friendship that would last till Hallam’s death four years later. In the later part of 1829, Tennyson and Hallam joined a secret club called ‘The Apostle’, whose members formed the cream of the university. 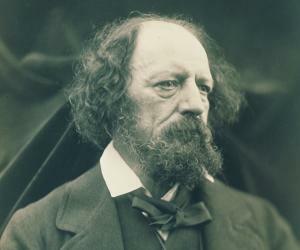 Although Tennyson dropped out after a few meetings, he retained friendship with its members. The realization that his friends not only accepted him as a poet, but also felt a certain degree of affection for him, brought into his personality much needed warmth. He began to devote more time towards his literally pursuit than studies. In June 1830, he had his first solo book, ‘Poems, Chiefly Lyrical’, published. Among other forgettable poems the book contained several fine ones like ‘The Kraken’, ‘Ode to Memory’ and ‘Mariana’. Also in the same year, he went on a trip to Europe with Hallam, by now his best friend. Alfred and Hallam’s idea was to help revolutionaries in their fight to overthrow the Spanish king by providing them with money. Through France they travelled to the Pyrenees, where they met the rebels; but to their dismay, they found them to be motivated by selfish greed, thus ending their noble mission. Pyrenees left a lifelong influence on Tennyson and for the rest of his life mountains remained an important backdrop for many of his poetries. Cauteretz, the mountain village, the valleys and waterfalls, all remained with him till the end. 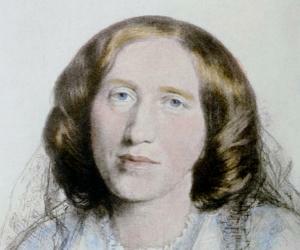 Alfred’s father, George Tennyson, died early in 1831 and with that the family’s financial condition became very bleak. Although his grandfather provided some relief it was not enough to support his studies at Trinity. Therefore, Alfred left Cambridge without acquiring a degree and returned to Lincolnshire in that very year. Alfred’s grandfather offered to find him a position in the church if he would be ordained. But determined to devote his life to writing poems, he refused the offer. Instead he chose to live on an annual gift of £100, which he received from an aunt. For the time being, the family was allowed to stay at the rectory at Somersby and Tennyson lived there with the family until 1837. Meanwhile in 1832, he published his second book, ‘Poems by Alfred Tennyson’. The book included the initial versions of many of his famous works like ‘The Lady of Shalott’, ‘The Palace of Art’, ‘A Dream of Fair Women’, ‘The Hesperides’, ‘Oenone’ ‘The Lotos-Eaters’ and ‘Mariana in the South’. ‘Poems by Alfred Tennyson’ received very bad reviews . The worst reviews were written by Edward Bulwer and John Wilson Croker. While the former was a friend of his uncle the latter often prided that it was his review of Keats’ ‘Endymion’, which caused the poet’s death. Always thin-skinned, Tennyson was so upset about these criticisms that he did not publish any other work for almost a decade. However, encouraged by Hallam and other Apostle friends, he continued writing. In 1833, Hallam died while on a trip to Venice. While the tragic incident threw young Tennyson into grief it also provided the stimulus for writing some of his finest poems such as ‘Ulysses’, ‘Morte d'Arthur’, ‘Tithonus’, ‘Tiresias’, ‘Break, break, break’ and ‘Oh! that 'twere possible’. Alfred Tennyson’s grandfather died in 1835 and with his death, the meager assistance he used to provide was stopped by his uncle. Continuing to live at Somersby rectory, the family finally moved to High Beach inside Epping Forest in 1837, where they lived in the Beach Hill House until 1840. In 1840, Tennyson moved to London, where he put up at Chapel House, Twickenham. All along, he continued to write, amassing a huge collection of unpublished works. This was also the year; he invested his patrimony in an ecclesiastical wood-carving enterprise. His friends were now worried about him and one of them, Edward FitzGerald, almost nagged him into publishing his accumulated works in two volumes. While the first volume consisted of already published works that had undergone intense revision, the second volume consisted of entirely new poems. The books, published in 1842 as ‘Poems’, met with immediate success. He was soon acclaimed as the best poet of his generation. But ill fortune continued to dog him. Also in the same year, the company in which he had invested his patrimony crashed and with that he lost everything he had. In deep melancholia, he stopped writing and starting from 1843, underwent hydropathic treatment several times; but without any permanent benefit. He did have respite, when at the death of the owner of the company he received £2,000 as insurance benefit. Tennyson was finally relieved from financial worries when in 1845, he was granted a government civil list pension of £200. Two years later, he had his first long poem, entitled ‘The Princess: A Medley’, published. At the beginning of 1849, Tennyson received a large sum of money as advance for assembling the elegies he had written on Hallam as one long poem. Published as ‘In Memoriam A.H.H’ in June 1850, the book made him one of the greatest living poets in England. Also in 1850, Tennyson was appointed Poet Laureate on the death of William Wordsworth, who had been holding the position for last seven years. Secured, he now continued with his literally pursuit, writing poems both as official duty and for his own pleasure. Some of the poems written as his official duty were less inspiring; but many others stood out in their beauty. ‘The Charge of the Light Brigade’, a dramatic tribute to the British cavalrymen involved in the Crimean War, was one of his best known work of this period. In 1874, along with writing poems, Tennyson tried his hand at poetic dramas. His first work in this genre, ‘Queen Mary’ (1875), was followed by few more. Although some of them were successfully performed they never achieved the same distinction his poems did. Alfred Tennyson is best remembered for his short lyrics such as ‘Break, Break, Break’, ‘The Brook’, ‘The Charge of the Light Brigade, ‘Tears, Idle Tears’, ‘Crossing the Bar’ etc. In addition, he also wrote quite a few blank verses among which the most famous are: ‘Idylls of the King’, ‘Ulysses’, and ‘Tithonus’. He is also remembered for his ’In Memoriam AHH’, a requiem for his Cambridge friend Arthur Henry Hallam. It contains nearly 3000 lines, which have been divided into 131 sections, with prologue and epilogue. Although it grew out of his personal grief it speaks for everybody. Tennyson was offered peerage first in 1865 and then in 1868; but each time, he declined the offer. Finally in 1883, he agreed to accept the honor at the solicitation of Prime Minister Gladstone. Finally in 1884, he was created Baron Tennyson, of Aldworth in the County of Sussex and of Freshwater in the Isle of Wight by Queen Victoria. He received honorary doctorates from the universities of Oxford and Edinburgh. Thrice he had invitation from the University of Cambridge to accept an honorary degree, but declined. 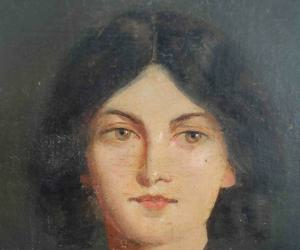 In 1836, Alfred Tennyson became involved with Emily Sellwood, daughter of their family solicitor. Although they considered themselves engaged by 1837 due to Tennyson’s financial condition and the frequent trances that he lapsed into, which he thought was due to epilepsy, he broke it off by 1840. They again resumed communication in 1849, finally getting married in the middle of June 1850. Three sons were born to them, out of which one died in infancy. Their eldest son, Hallam, was named after his Cambridge friend Hallam. He became the 2nd Baron Tennyson and authored ‘Tennyson: a Memoir’. Their younger son Lionel was inflicted with ‘jungle fever’ on a visit to India and died on the way back home in 1886. Until November 1853, the family lived mostly in London. Thereafter, they moved to the Isle of Wight, where he built a secluded house in Farringford. But in 1869, pestered by tourists, he was forced to move to Aldworth, in West Sussex. However, they continued to retain their house in Farringford. Alfred Tennyson died on 6 October 1892, at Aldworth, at the age of 83, and was buried at Westminster Abbey. He was survived by his wife and eldest son, Hallam. Farringford, where he spent his last years remains associated with his name. Tennyson Down and the Tennyson Trail on the Isle of Wight are named after him. A memorial was erected in his honor at All Saints' Church at Freshwater. A statue built in the chapel of Trinity College, Cambridge, also bears his legacy. According to the Oxford Dictionary of Quotations, Tennyson is the ninth most frequently quoted writer. Among his oft quoted phrases are "'Tis better to have loved and lost / Than never to have loved at all"; "Theirs not to reason why, / Theirs but to do and die", "The old order changeth, yielding place to new" etc.